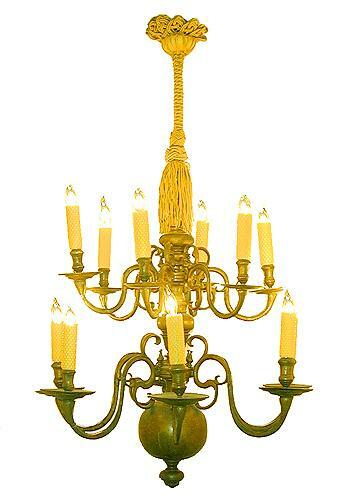 An Elegant 18th Century Dutch Twelve-Light Chandelier No. 2228 - C. Mariani Antiques, Restoration & Custom, San Francisco, CA. Approx. Height: 28" (w/o chain); Diameter: 26"